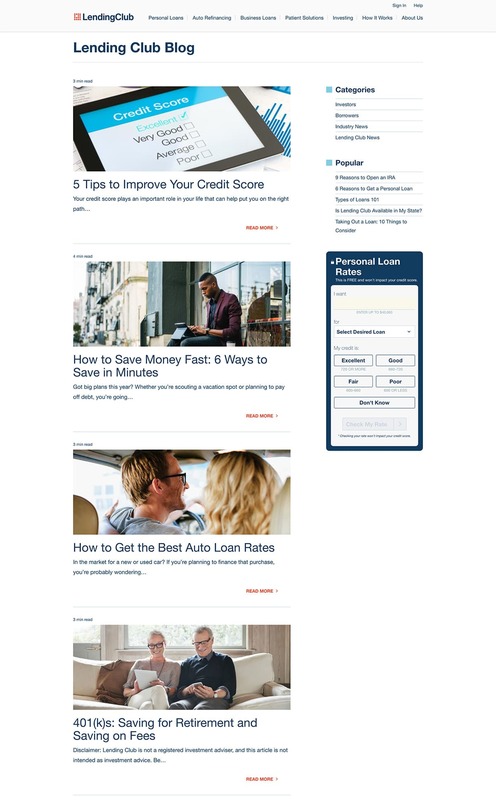 I had built an older version of Lending Club’s blog years ago and they reached back out to refresh it with a newer, responsive version based off their provided design concepts. I helped them create a new WordPress theme including coding and styling out a rate widget for the sidebar areas. 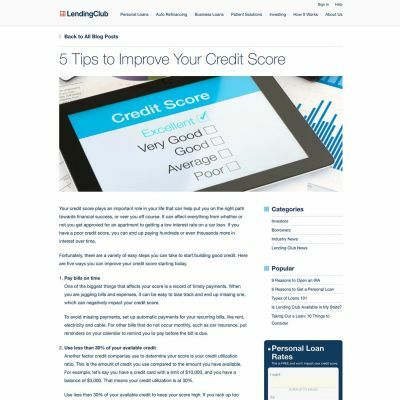 The team at Lending Club were really great to work with on this one.